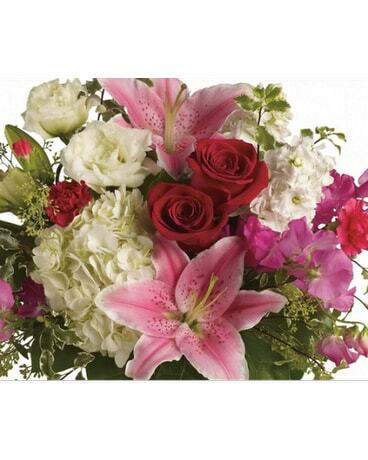 Romance in Flemington NJ - Flemington Floral Co. & Greenhouses, Inc.
Say "I love you" with a beautiful assortment of pinks, reds and whites. let our professional designers create something special for you. We will choose the freshest, seasonal most beautiful flowers. Flowers may vary. Picture is for color ideas only. If you have certain flowers in mind please let us know.